G.P. Putnam's Sons Books for Young Readers, 9780399176784, 512pp. Traci Chee is an all-around word geek, she loves book arts and art books, poetry and paper crafts. She studied literature and creative writing at the University of California, Santa Cruz, and earned a master of arts degree from San Francisco State University. Traci grew up in a small town with more cows than people, and now feels most at home in the mountains, scaling switchbacks and happening upon hidden highland lakes. She lives in California with her fast-fast dog. 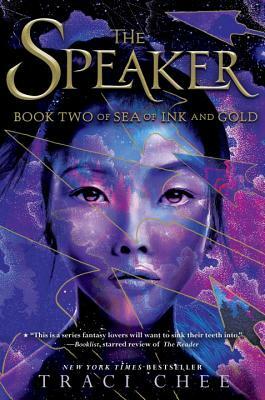 The Speaker is the second book in the trilogy that began with The Reader.